The Fearless Terp scholarship was created in 2018 to celebrate the marriage of UMD alumni Lianne Berne and Rachelle Beanlands, who first met as undergrads in College Park in the spring of 2013. They created the scholarship to help support students who demonstrate a commitment to the LGBTQ+ community at Maryland as a way to give back and provide opportunities for younger Terps to pursue their education. As an international couple and alumni of several study abroad programs themselves, they hope that Fearless Terp scholars will be able to use these funds to explore the world through study abroad and internationally focused programs. Lianne and Rachelle are Maryland Terrapins through and through. Though neither are native to Maryland, during their time at UMD, both came to develop a lifelong love for the school by taking full advantage of the many academic and extracurricular opportunities offered to students. 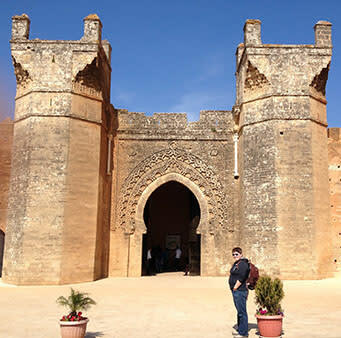 Lianne poses in front of the Chellah in Rabat, Morocco on one of her many excursions outside Meknes during her Capstone year. Lianne majored in Government and Politics and added a minor in Arabic during her sophomore year. She participated in the Arabic Flagship Program, which took her to Meknes, Morocco for a capstone year of full immersion in Arabic. In her spare time, she played mellophone for the Mighty Sound of Maryland, UMD’s incomparable marching band. She remembers her time at Maryland quite fondly and considers herself a Terp for life. After graduation, she remained at UMD to pursue a Masters degree in Public Policy with a focus in International Development. 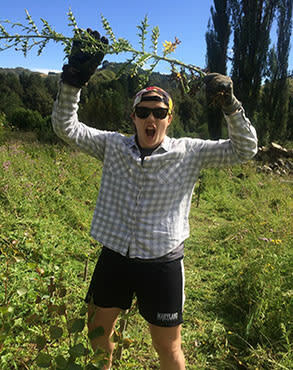 Rachelle conquers a pesky weed during a restoration project at Blue Duck Station in Whakahoro, New Zealand. 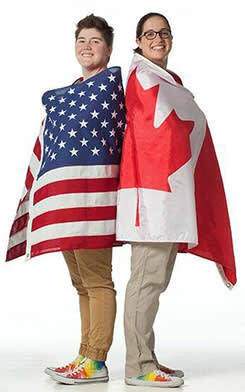 Rachelle was an international student who came from Canada to play on the women’s soccer team at Maryland. She had an exciting college goalkeeping career for the Terps, learning valuable lessons in dedication and discipline, and forging incredible friendships in the process. In sophomore year, she added an Environmental Science and Policy program to her original Physiology and Neurobiology major and graduated with a double Bachelor's degree 4 years later. She was fortunate to be able to study abroad in New Zealand during her final winter break at Maryland, taking an incredible journey across New Zealand’s landscapes as part of a sustainability course. Her experience at Maryland was unforgettable and has made an everlasting impact on her. She hopes to return for alumni events with the women’s soccer team in the future. After graduation, she returned to Canada to study medicine at Western University.